E-Verify is free and voluntary and is the best means available for determining employment eligibility of new hires and the validity of their Social Security Numbers. WASHINGTON – Senate Judiciary Committee Chairman Chuck Grassley reintroduced legislation to aid businesses in complying with immigration laws by certifying the legal status of their workforce. The Accountability Through Electronic Verification Act would permanently authorize and require employers to use the E-Verify program, an Internet-based system that assists employers in determining the eligibility of employees to work in the United States. “Businesses across the country have opted to use the E-Verify system to help comply with our immigration laws. E-Verify is a proven tool for employers, including myself, that helps reduce incentives for illegal immigration and safeguards job opportunities for Americans and other legal workers. Expanding the system to every workplace will improve accountability for all businesses and take an important step toward putting American workers first,” Grassley said. 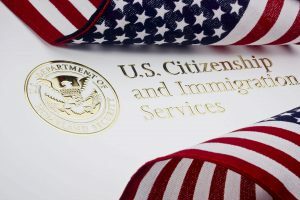 Currently, employers voluntarily submit information reported on an employee’s Form I-9 to the Department of Homeland Security through the E-Verify system, which works in partnership with the Social Security Administration to determine worker eligibility. There is no cost for employers to use E-Verify. Nearly 700,000 businesses use the program today. E-Verify was established in 1996 as a pilot program with employers in five states allowed to participate. The pilot program was reauthorized in 2001, expanded to employers in every state in 2003 under Grassley-authored legislation, and reauthorized several times since 2008. It is set to expire on April 28, 2017. Allows employers to use E-Verify before a person is hired if consent is provided by the employee. Cosponsors of Grassley’s bill include senators John Boozman (R-Ark. ), Bob Corker (R-Tenn.), Tom Cotton (R-Ark. ), Mike Enzi (R-Wyo. ), Mike Lee (R-Utah), Richard Shelby (R-Ala.), John Thune (R-S.D.) Roger Wicker (R-Miss. ), and Shelley Moore Capito (R-W.V.) . The E-Verify program will be launching new and exciting changes later next month, such as photo screening features and online resources for employees.